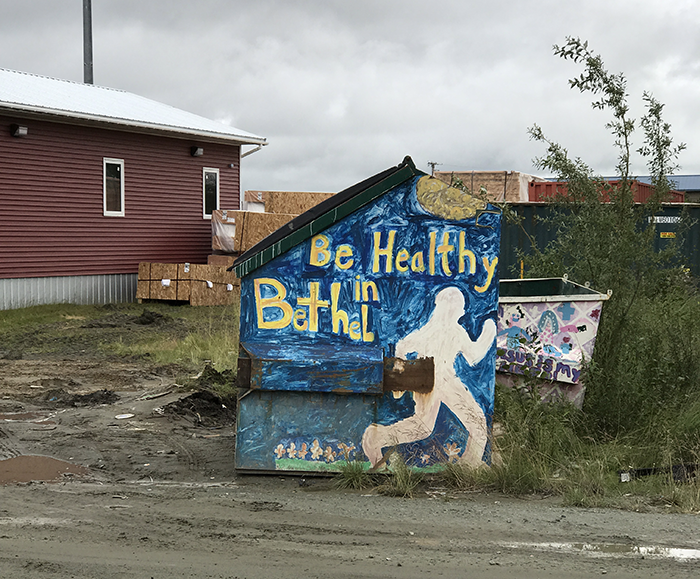 If you haven’t heard of Bethel, Alaska, no worries — you’re not alone. Until a few weeks ago, neither had I. Located in the expansive state’s southwest coast, nestled into the Yukon-Kuskokwim Delta, Bethel is 400 miles from Anchorage and feels worlds away from the tourist-filled hotspots of Denali or the Kenai Fjords. Inaccessible by road, the only way in is via plane. Some folks are lucky enough to get on a 737, but I made my way from Anchorage to Bethel on a prop plane. 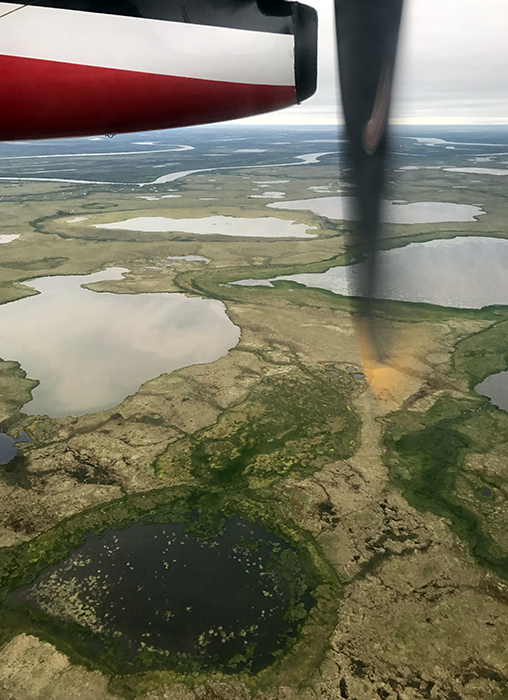 The clip-clip-clip of the propellers became background noise as I watched soaring snow-capped peaks give way to marshy, flat tundra, with a series of increasingly frequent rivers snaking their way through the Alaskan bush. Alaska was not on my already-extensive travel list for this year, but when I had an opportunity to travel there for work, I responded with an immediate “Yes, please, when does the plane leave?” I won’t scoop my own story, but I was there to report on (and help with) our work providing free spay/neuter services and pet supplies to three villages in the Y-K Delta. It was a surreal six days, easily the most unique and unforgettable week of travel I’ve ever had. We traveled by boat, by 4-wheeler, by large jet, by tiny Cessna, by our own two feet, and — once — by bicycle. Because all groceries and supplies must be flown in to Bethel and the surrounding villages, you’ll pay a pretty penny for nearly everything, even more so than in locations closer to Alaska’s “big” cities. Plus, the villages themselves have only small general stores with limited provisions. So our team came prepared, with suitcases loaded full of veg-friendly staples. I personally packed my weight in bars: Clif, Luna, Lara, and all their friends. I fully expected to subsist wholly on processed proteins for six days. I didn’t snag a photo of the nondairy display, but you can use your imagination. Just include an image of me, jaw dropping Home Alone-style, and you’ll have an even more accurate picture. So, vegans: If you’re heading to rural Alaska, you might just get lucky when it comes to nondairy delights. It never hurts to look! *I can’t remember the name of the store with 100% certainty, but I’m pretty sure it was Swanson’s. It was definitely not the flashy, new-looking grocery store, though — that one had an “organic/natural food” section but did NOT have nearly as many nondairy treats! Looking forward to reading your story in All Animals.